How much does a corporate video production cost? 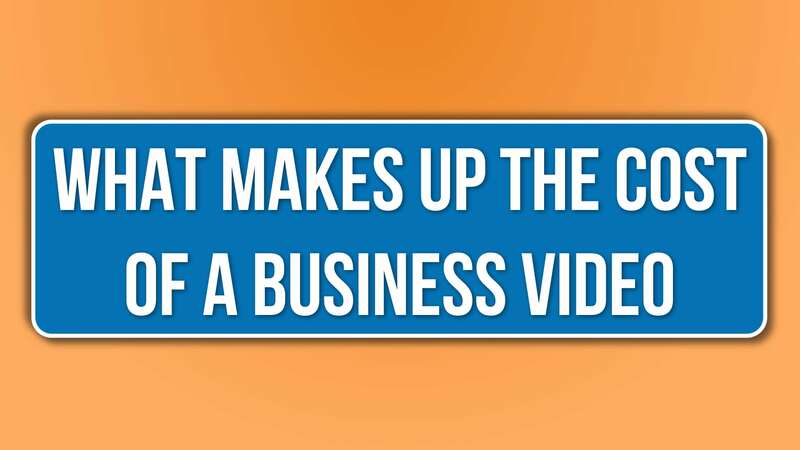 It is usually the first question people think about when planning for business video. And it’s one of the first when considering hiring a video production company. Unfortunately, this question often makes people stop thinking about video due to perceived high budget constrains. Rather, they should be thinking of the phenomenal ROI that corporate video production will have for their business. This post is for those people that are just getting started with or ramping up their business video library. It will review the five main areas that most corporate video production service companies have that will drive the cost up or down to answer the question of “How much does a corporate video production cost“. How much time is it going to take your corporate video production services company to plan for your shoot. That includes the planning, the logistics, the equipment; everything that is needed to make sure everybody is ready when your video production company shoots your video. The more complex your project is, the more time it is going to take than if the production is simple. How many cameras do you need? What types of cameras do you need? What types of lenses do you need to go with those cameras? And how many lights and do you need accessories for those lights?. All of these questions will be will be taken in consideration during the pre-production planning to make sure your professional video production services company has the right amount of resources to execute on your business video. This is either in the amount of hours or days it’s going to take to shoot and edit your corporate video production project. Just because a corporate video production services company might be your location, with people in front of the camera for two hours, they still have set up time, they still have breakdown time and they still need to walk around your office to create what’s called B-roll footage to include your business video. The second aspect of the time section that goes into time area of “How much does a corporate video production cost?” is the editing process. When you have multiple cameras and external audio that’s going to take more time to edit than if you only have one camera the audio was recorded directly to that one camera. And today’s cameras shoot in higher resolution like 4k or 6k. So if you choose to shoot your business video in those higher resolutions then it will take more time for a video production company to edit because those files are larger and heavier. Do you want an animated logo for your business video? Do you want to animate the lower thirds and have animated transitions? Or do you have charts or graphics to include that you want to put some movement to rather than just having a static image? You certainly don’t need these for your business video, but if you do want these graphical enhancements it is going to take more time, and thus cost more. In addition, how much color correction do you want, or need done to your video. If your production spans multiple days and locations there will be a wide range of colors you will need to match and there is a wide range of color corrections from simple to complex that will just add cost because they take time. Just like any other profession experience matters. And this is the final area that will determine “How much does a corporate video production cost”. Your going to pay a little bit more for a professional video production services company with more experience than one that only has a few years of experience. Video industry veterans are going to charge more while newcomers will be much less. Just because someone is new to video, doesn’t mean their work isn’t great. As long as their sample work is good, that’s all that matters. If you have any other questions about on “How much does a corporate video production cost” or how to get started, make a comment below or just give us a call. Thanks for the input Leon.